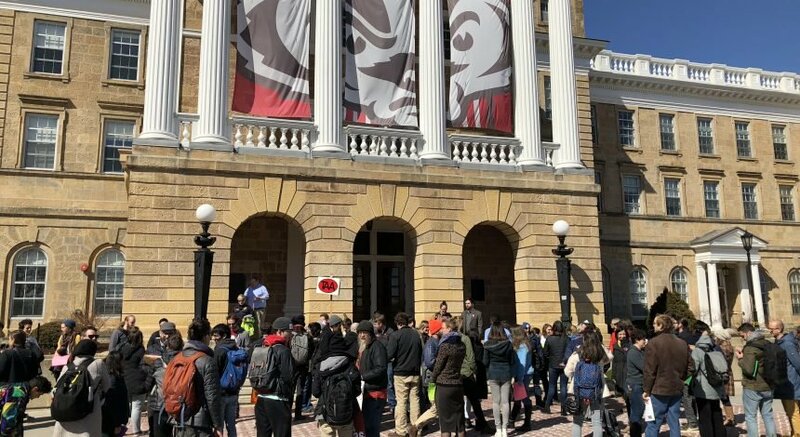 A week after hundreds marched across University of Wisconsin campus to protest the current campus climate, students once again marched down Bascom Hill — this time to support the UW Police Department. 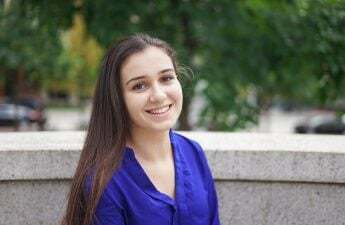 UW freshman Lauren Hansen helped organize the I Stand with UWPD event to showcase community support for UWPD after it received negative attention for the arrest of UW student Denzel McDonald. McDonald was pulled from class by UWPD and arrested in connection to multiple counts of graffiti April 14. Immediately after the event was created on Facebook, it received backlash from students. Some argued that the timing of march suggested it was meant to counter the message of the previous anti-racism march. Despite the retaliation, Hansen assured everyone organizers did not create the event in opposition to the anti-racism student march, rather to show support for the police department and its continued efforts to keep the campus safe. Hansen said a letter posted on the event’s Facebook page highlighted the group’s shared concern and goals in achieving racial equity on campus. While she said she wants the student body and UWPD to work closely together, she doesn’t believe it should be to as great of an extent as the previous march suggested. The march began Friday afternoon, with students spending the first 30 minutes writing thank you letters to UWPD. Though the crowd was significantly smaller than the previous march, both students and community members alike used the small space to promote a healthy dialogue on police brutality. A former first responder for UWPD, Sam Grow, was present at the event and said he was glad to see the students, who he used to protect, showing support for police. Kevin McDonald, former UWPD officer and current Madison Fire Department firefighter and paramedic, and UW alumna Ana Boelter, were also present. 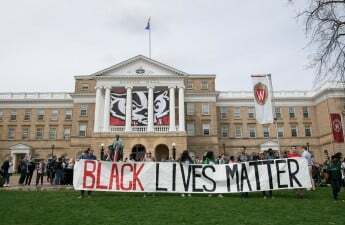 Counter-protesters joined the gathering at the top of Bascom Hill, peacefully advocating for a reevaluation of police brutality. 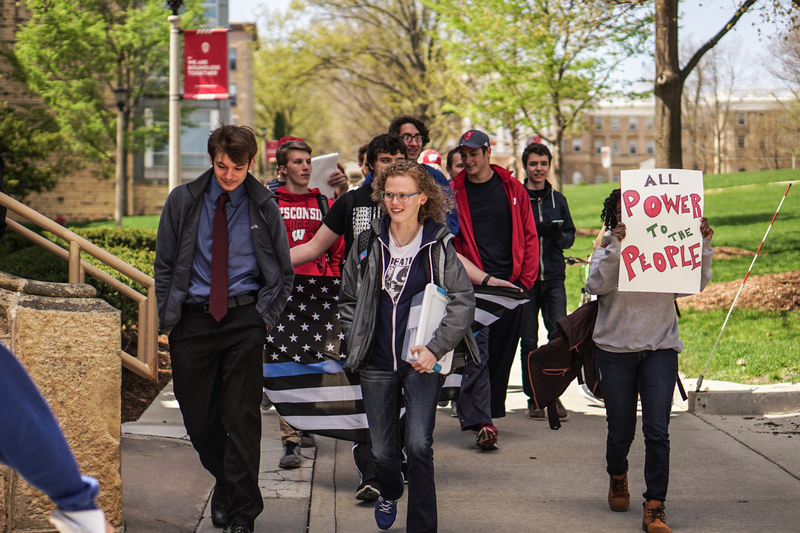 As the group of supporters made their way down Bascom to UWPD station to deliver the letters they had written, Hansen and other organizers advised them to abide traffic laws. Participants did not chant, but they held up signs and a flag to showcase their support for UWPD. Once the group arrived at UWPD station, UWPD Chief Sue Riseling thanked supporters for letters and promised UWPD will post them online in the coming week. Before the crowd dispersed, Hansen exchanged contact information with the counter-protesters in hopes of meeting for an open discussion. While not yet confirmed, it is possible that the two groups may work together to create an online forum where students can engage in open dialogue.